This weekend at the box office, The LEGO Movie 2: The Second Part is coming in below expectations in spite of warm critical reception. Originally expected to open between $40M and $50M or higher, the sequel managed to earn $34.4M on its opening weekend. Why isn’t everything so awesome for the LEGO sequel, which is well-reviewed and has been greatly enjoyed by the audiences who have seen it? The key scapegoats here, aside from concerns about marketing and crazy weather adversely affecting nationwide theater attendance, boil down to the five-year gap between the original film and its sequel and franchise fatigue. In hindsight, Warner Animation Group’s decision to release a pair of spin-offs in 2017 – one of which succeeded (The LEGO Batman Movie) and one of which disappointed (The LEGO Ninjago Movie) – was not a smart move. The good news is that animated family films that are well-received and/or open big tend to be fairly leggy – just ask Spider-Verse, which is inches away from crossing $180M and doubling its $90M production budget at the domestic box office alone. The LEGO Movie 2 probably won’t reach those heights, but it can still succeed even if it disappoints overall. If the movie can hold next weekend, then it’s got a shot at legging out for a little while, even in the face of competition from How to Train Your Dragon: The Hidden World two weekends from now. The lessons that need to be learned from this is that Warner Animation Group needs to rethink their strategy for future LEGO movies in terms of budgeting and market saturation. 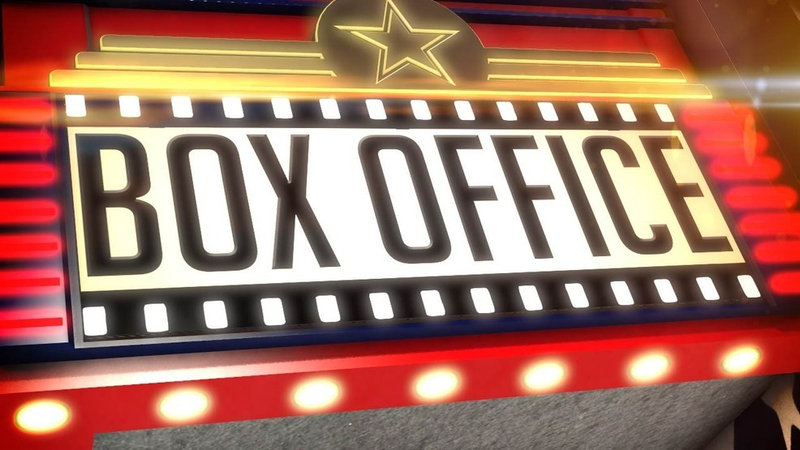 Two of the weekend’s other big releases did well box office, while the third is a bomb. The gender-flipped remake of What Women Want, fittingly titled What Men Want, brought in $19M, which is just $1M shy of the film’s $20M budget. That’s a great start for this kind of a movie, and it ought to be more than enough to ensure that the film succeeds long-term. The Prodigy matched its $6M budget with a $6M gross, with room to leg out past $10M for however long it keeps playing. Cold Pursuit, meanwhile, is a flop with $10.8M made against a $60M production budget, and that can’t be blamed on Liam Neeson’s recent racially-charged comments ahead of the film’s release so much as Neeson being involved in this same kind of film over and over again – the novelty of seeing him do his “Taken, but with a gimmick” shtick loses its luster after a while. As for holdovers, Miss Bala took a dive of just over 60%, suggesting that the demographics that the $15M movie was targeting aren’t interested in it. Glass is nearly at $100M, Green Book‘s attention at award ceremonies has brought it past $60M, and Aquaman has topped Suicide Squad domestically with Batman v Superman: Dawn of Justice‘s domestic totals in sights. That last bit is probably good news for Shazam!, DC’s next release, which has a three-week window to make an impression before Avengers: Endgame ends April with a bang. The LEGO Movie 2: The Second Part (Warner Bros./Warner Animation Group) – $34.4M Total. What Men Want (Paramount Pictures) – $19M Total. Cold Pursuit (Lionsgate Films/Summit Entertainment) – $10.8M Total. The Upside (STX Films) – $7.22M Weekend/$85.8M Total; 16.8% Drop. Glass (Universal Pictures/Blumhouse Productions) – $6.422M Weekend/$98.476M Total; 32.7% Drop. The Prodigy (Orion Pictures) – $6.004M Total. Green Book (Universal Pictures) – $3.567M Weekend/$61.501M Total; 18% Drop. Aquaman (Warner Bros./DC Films) – $3.3M Weekend/$328.547M Total; 32.4% Drop. Spider-Man: Into the Spider-Verse (Sony Pictures/Sony Pictures Animation) – $3.04M Weekend/$179.821M Total; 33.2% Drop. Miss Bala (Sony Pictures) – $2.725M Weekend/$11.865M Total; 60.3% Drop. A Dog’s Way Home (Sony Pictures) – $1.95M Weekend/$38.928M Total; 46.1% Drop. They Shall Not Grow Old (Warner Bros.) – $1.67M Weekend/$13.562M Total; 31.5% Drop. Spider-Man: Into the Spider-Verse, Aquaman, Glass, and The LEGO Movie 2: The Second Part are now playing in theaters.